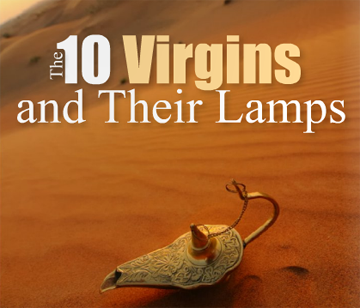 The 10 virgins: A historical context. It’s important to get out eschatology right. The parable of the 10 Virgins is not about having more or less Holy Spirit when the rapture comes. It flows from the events which Jesus spoke about in Matthew 24. Jesus had warned the Jews of his generation about an invasion by the Roman army. He had spoken about the abomination that causes the desolations. Luke gives an account of this. If you know you history Titus the Roman general dispatch to conquer Jerusalem, laid siege in Jerusalem before destroying the same. He had to do so because he could not penetrate the already built walls of Jerusalem. The parable is about leaving Jerusalem before the siege happens. Those who did not heed the warnings of Jesus were caught in the siege and could not leave Jerusalem. They were caught in the tribulation and were eventually destroyed and burnt alive. The door that closed is referring to the siege. It’s not about failing to make heaven. It’s about leaving Jerusalem. It’s not about the Holy Spirit leaving you. He never leaves. Never forsakes you. May you find comfort in one of the most confusing preached parable of all time. Next If Jesus had already come what’s left?